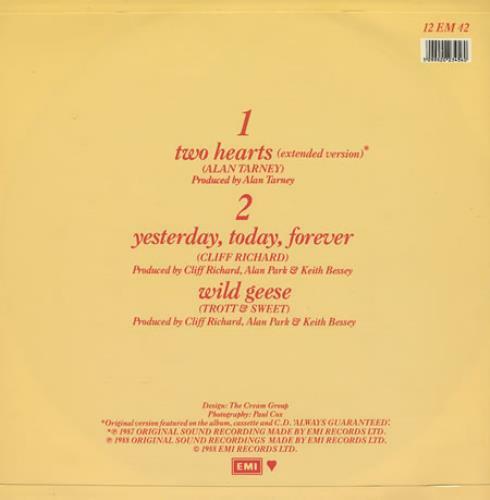 CLIFF RICHARD Two Hearts (1988 UK 3-track 12" vinyl single including Extended Version, Yesterday, Today, Forever and Wild Geese, picture sleeve. The sleeve shows minimal wear with light signs of play 12EM42). 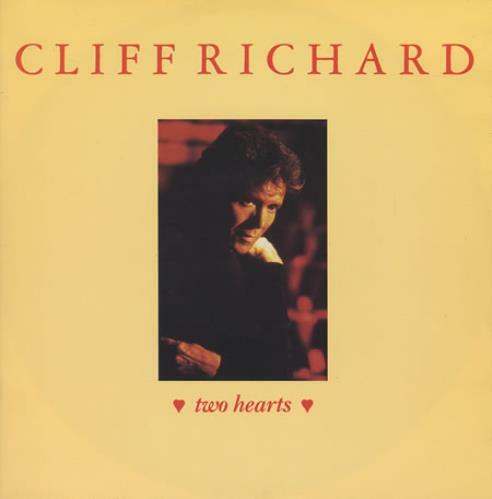 or visit our Cliff Richard image gallery.